The J&K Services Selection Board (SSB) during its significant 86th Board meeting held here on June 11 and 12 has finalized 34 selection lists of different categories and recommended the same to the concerned departments. 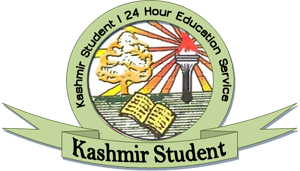 The Board meeting which was held under the chairmanship of Mohammad Afzal, also cleared provisional selection lists of 1238 teachers for five districts, viz, Srinagar, Bandipora, Pulwama, Kulgam and Kupwara. The SSB was able to expedite the process of selection lists of teachers in view of the outcome of the clubbed Writ Petitions by the Court paving way for finalization of selection lists. 2 83 799713 AFROZA BASHIR B A KHAN DOONIWARI LOLAB PO CHERKOT KUPWARA 240384 OM 346 500 69.20 1692 3000 56.40 704 1000 70.40 1161 2000 58.05 285 500 57.00 0 0 0.00 No No 17.30 5.64 10.56 5.81 5.70 0.00 0.00 0.00 45.01 12.33 57.34 Kashmir Univ. 3 1263 764039 SHABIR AHMAD BHAT GH AHMAD BHAT QALAMABAD HANDWARA KUPWARA 010685 OM 442 600 73.67 1070 1800 59.44 712 1000 71.20 1520 2100 72.38 0 0 0.00 0 0 0.00 No No 18.42 5.94 10.68 7.24 0.00 0.00 0.00 0.00 42.28 15.00 57.28 Kashmir Univ. 5 766 984077 MOHD IQBAL LONE GH MOHMAD LONE BRARIPORA HANDWARA KUPWARA 010384 OM 447 600 74.50 1143 1800 63.50 648 1000 64.80 1596 2500 63.84 0 0 0.00 0 0 0.00 No No 18.63 6.35 9.72 6.38 0.00 0.00 0.00 0.00 41.08 14.33 55.41 Kashmir Univ. 8 1000 873209 NIZAMU DIN PEER BASHIR AHMAD PEER NEELIPORA MAGAM HANDWARA KUPWARA 010682 OM 416 600 69.33 953 1800 52.94 607 1000 60.70 1167 2100 55.57 0 0 0.00 0 0 0.00 No No 17.33 5.29 9.11 5.56 0.00 0.00 0.00 0.00 37.29 16.67 53.96 Kashmir Univ. 9 1244 764388 SANDEEP KOUR MOHINDERPAL SINGH MAIDAN CHOGAL TEHSIL HANDWARA DISTT KUPWARA JAMMU 210484 OM 436 600 72.67 1068 1800 59.33 738 1000 73.80 864 1200 72.00 0 0 0.00 0 0 0.00 No No 18.17 5.93 11.07 7.20 0.00 0.00 0.00 0.00 42.37 11.33 53.70 HNB Garhwal PG Selection is subject to production of Bonafied certificate of PG from HNB Garhwal University on proforma prescribed by the Board. 10 5 456148 AALIA SYED AIJAZ AHMAD QURESHI BATPORA MAGAM HANDWARA TEHSIL HANDWARA KUPWARA BPO SHILHAL KASHMIR 010882 OM 328 600 54.67 941 1800 52.28 686 1000 68.60 821 1600 51.31 600 1000 60.00 0 0 0.00 No No 13.67 5.23 10.29 5.13 6.00 0.00 0.00 0.00 40.32 13.33 53.65 Kashmir Univ. 14 875 852457 MUSHTAQ AHMAD WANI AB SAMAD WANI DARZIPOARA KUPWARA W NO 3 H NO 8 NEAR SDH KUPWARA KUPWARA 250382 OM 331 600 55.17 1003 1800 55.72 694 1000 69.40 1600 2400 66.67 0 0 0.00 0 0 0.00 No No 13.79 5.57 10.41 6.67 0.00 0.00 0.00 0.00 36.44 15.67 52.11 Kashmir Univ. 15 153 972592 ANJUM RASOOL LONE GHULAM RASOOL LONE HIMPORA DISTT KUPWARA TEH HANDWARA BEHIND COOPERATIVE BANK 250286 OM 420 600 70.00 987 1800 54.83 689 1000 68.90 968 1600 60.50 0 0 0.00 0 0 0.00 No No 17.50 5.48 10.34 6.05 0.00 0.00 0.00 0.00 39.37 12.67 52.04 Kashmir Univ. 17 1571 871218 ZAHIDA AKHTER MOHD MUKHTAR BHAT MASJID MOHALLA KHAIPORA LANGATE KUPWARA 051286 OM 362 600 60.33 935 1800 51.94 722 1000 72.20 1195 2000 59.75 0 0 0.00 0 0 0.00 No No 15.08 5.19 10.83 5.98 0.00 0.00 0.00 0.00 37.08 14.67 51.75 Kashmir Univ. 18 1020 973415 PARVAIZ AHMAD PIR SONAULLAH PIR BABAPORA PANZGAM KUPWARA 030185 OM 312 600 52.00 1018 1800 56.56 734 1000 73.40 0 0 0.00 287 500 57.40 0 0 0.00 No No 13.00 5.66 11.01 0.00 5.74 0.00 0.00 0.00 35.41 16.33 51.74 Kashmir Univ. 19 405 766356 GULSHAN NABI IRSHAD MOHD KAR SHIRHAMA LACH QALAMABAD HANDWARA KUPWARA 020385 OM 312 600 52.00 974 1800 54.11 668 1000 66.80 459 800 57.38 277 500 55.40 0 0 0.00 No No 13.00 5.41 10.02 5.74 5.54 0.00 0.00 0.00 39.71 12.00 51.71 Kashmir Univ. 21 938 866817 NASEER U DIN JAHANGEER ABDUL AZIZ SHIEKH RO HANGAH PO LANGATE HANDWARA KUPWARA 100385 OM 0327 0600 54.50 1076 1800 59.78 0660 1000 66.00 0976 1600 61.00 0 0 0.00 0 0 0.00 No No 13.63 5.98 9.90 6.10 0.00 0.00 0.00 0.00 35.60 16.00 51.60 Kashmir Univ. 22 180 799357 ASHIQ HUSSAIN PEER MOHD YOUSUF PEER WARPORA HATMULLA KUPWARA KASHMIR 070380 OM 1596 2300 69.39 1035 1500 69.00 638 1000 63.80 1011 1600 63.19 0 0 0.00 0 0 0.00 No No 17.35 6.90 9.57 6.32 0.00 0.00 0.00 0.00 40.14 11.33 51.47 Kashmir Univ. 24 1317 766566 SHAHEENA AKHTER GH AHMAD BHAT NEAR JAMIA JADEED HANDWARA KUPWARA 091186 OM 431 600 71.83 967 1800 53.72 733 1000 73.30 0 0 0.00 286 500 57.20 0 0 0.00 No No 17.96 5.37 11.00 0.00 5.72 0.00 0.00 0.00 40.05 11.33 51.38 Kashmir Univ. 25 1503 456360 TANVEERA AHAD HAJI ABDUL AHAD NAIKOO BICHERWARA HANDWARA KUPWARA 180286 OM 353 600 58.83 1094 1800 60.78 695 1000 69.50 1632 2400 68.00 0 0 0.00 0 0 0.00 No No 14.71 6.08 10.43 6.80 0.00 0.00 0.00 0.00 38.01 13.33 51.34 Kashmir Univ. 26 78 764226 ADUFER JEELANI QURASHI GULAM JEELANI QURASHI JAMIA QADEEM HANDWARA HANDWARA KUPWARA KUPWARA 090585 OM 359 600 59.83 1046 1800 58.11 679 1000 67.90 969 1600 60.56 0 0 0.00 0 0 0.00 No No 14.96 5.81 10.19 6.06 0.00 0.00 0.00 0.00 37.01 14.33 51.34 Kashmir Univ. 28 300 970471 FARHEENA MOHMAD GH MOHD BHAT KACHLOO QAZOPORA HANDWARA KUPWARA 110383 OM 269 600 44.83 889 1800 49.39 737 1000 73.70 958 1600 59.88 318 500 63.60 0 0 0.00 No No 11.21 4.94 11.06 5.99 6.36 0.00 0.00 0.00 39.55 11.67 51.22 Kashmir Univ. 31 1601 766552 ZAHOOR UL ISLAM SHIEKH ABDUL RAZAK SHIEKH HANGAH TEHSIL HANDWARA DISTRICT KUPWARA 270485 OM 0374 0600 62.33 1093 1800 60.72 0725 1000 72.50 0809 1400 57.79 0 0 0.00 0 0 0.00 No No 15.58 6.07 10.88 5.78 0.00 0.00 0.00 0.00 38.31 12.67 50.98 Kashmir Univ. 33 1559 979616 YASHEENAH AKHTER GH NABI RAH KHOSA MOHALLAH HANDWARA KUPWARA 081087 OM 483 600 80.50 1130 1800 62.78 776 1000 77.60 0 0 0.00 0 0 0.00 0 0 0.00 No No 20.13 6.28 11.64 0.00 0.00 0.00 0.00 0.00 38.04 12.67 50.71 Kashmir Univ. 34 1465 766679 SYED SAHEEL AHMAD SYED GH QADIR SHAH NEELIPORA MAGAM HANDWARA KUPWARA 011182 OM 299 500 59.80 934 1800 51.89 673 1000 67.30 0 0 0.00 647 1000 64.70 0 0 0.00 No No 14.95 5.19 10.10 0.00 6.47 0.00 0.00 0.00 36.70 14.00 50.70 Kashmir Univ. 36 208 866983 BASEERAT AZIZ ABDUL AZIZ BHAT PANDITHPORA LANGATE HANDWARA 010684 OM 288 600 48.00 956 1800 53.11 716 1000 71.60 811 1600 50.69 287 500 57.40 0 0 0.00 No No 12.00 5.31 10.74 5.07 5.74 0.00 0.00 0.00 38.86 11.67 50.53 Kashmir Univ. 39 59 SUP 984424 SHAMS UD DIN TAK GH MOHI UD DIN TAK UJROO LANGATE HANDWARA DISTT KUPWARA KASHMIR 040372 OM 303 600 50.50 1002 1800 55.67 0 0 0.00 7.14 10.00 71.40 0 0 0.00 0 0 0.00 No Yes 12.63 5.57 0.00 7.14 0.00 0.00 0.00 5.00 30.33 20.00 50.33 PG fro Deviahiliya vishvavidyalaya . Selection is subject to production of Bonafied certificate of PG from Devi Ahlaiya Vishwa Vidyalaya on proforma prescribed by the Board. 40 1606 650401 ZAREENA GUL JAMSHID KHALIQ BHAT HERPORA HANDWARA TEH HANDWARA DIST KUPWARA 090182 OM 269 600 44.83 775 1800 43.06 747 1100 67.91 813 1600 50.81 288 500 57.60 0 0 0.00 No No 11.21 4.31 10.19 5.08 5.76 0.00 0.00 0.00 36.54 13.67 50.21 Kashmir Univ. 41 923 866883 NASEEMA AKHTER SONA ULLAH BHAT VILLAGE BUDKOOT TEHSIL HANDWARA DISTT KUPWARA J&K 010383 OM 269 600 44.83 900 1800 50.00 723 1000 72.30 1129 2000 56.45 300 500 60.00 0 0 0.00 No No 11.21 5.00 10.85 5.65 6.00 0.00 0.00 0.00 38.70 11.33 50.03 Kashmir Univ. 42 835 591989 MUDASIR AHMAD SHAH GH MOHIUDIN SHAH DAHAMA RAMHALL HANDWARA KUPWARA 010286 RBA 342 600 57.00 934 1800 51.89 659 1000 65.90 890 1600 55.63 0 0 0.00 0 0 0.00 No No 14.25 5.19 9.89 5.56 0.00 0.00 0.00 0.00 34.89 15.00 49.89 Kashmir Univ. 46 1204 891186 SAIMA MASOODI AHMADULLA MASOODI NEAR JAMIA MASJID DRUGMULLA KUPWARA 170885 OM 308 600 51.33 942 1800 52.33 741 1000 74.10 0 0 0.00 282 500 56.40 0 0 0.00 No No 12.83 5.23 11.12 0.00 5.64 0.00 0.00 0.00 34.82 14.67 49.49 Kashmir Univ. 50 1371 871664 SHAZIA HASSAN TANTRAY GH HASSAN TANTRAY BAGATPORA HANDWARA KUPWARA 111085 OM 373 600 62.17 1099 1800 61.06 0 0 0.00 866 1120 77.32 0 0 0.00 0 0 0.00 No No 15.54 6.11 0.00 7.73 0.00 0.00 0.00 0.00 29.38 20.00 49.38 Kashmir Univ. 51 1475 854201 TAHIR AHAMD SHAH KHAZIR AHMAD SHAH DARPORA LOLAB KUPWARA 150881 OM 283 600 47.17 1011 1800 56.17 670 1000 67.00 1560 2500 62.40 0 0 0.00 0 0 0.00 Yes No 11.79 5.62 10.05 6.24 0.00 0.00 2.00 0.00 35.70 13.67 49.37 Kashmir Univ. 52 368 764311 GAWHAR YOUSUF LONE MOHD YOUSUF LONE LONE MOHALLA MAGAM HANDWARA KUPWARA 010484 OM 320 600 53.33 1035 1800 57.50 641 1000 64.10 1598 2400 66.58 0 0 0.00 0 0 0.00 No No 13.33 5.75 9.62 6.66 0.00 0.00 0.00 0.00 35.36 14.00 49.36 Kashmir Univ. 53 192 891711 ASMAT ARA ABDUL AHAD WANI MIRPORA TREHGAM KUPWARA KASHMIR 130584 OM 289 600 48.17 1062 1800 59.00 660 1000 66.00 2461 3600 68.36 0 0 0.00 0 0 0.00 No No 12.04 5.90 9.90 6.84 0.00 0.00 0.00 0.00 34.68 14.67 49.34 Kashmir Univ. 54 1436 970472 SUMAYA MOHMAD GH MOHMAD BHAT KACHLOO QAZIPORA HANDWARA KUPWARA 250386 OM 334 600 55.67 1069 1800 59.39 700 1000 70.00 1179 1800 65.50 0 0 0.00 0 0 0.00 No No 13.92 5.94 10.50 6.55 0.00 0.00 0.00 0.00 36.91 12.33 49.24 Kashmir Univ. 59 448 891755 IMITYAZ AHAMD LONE BASHIR AHMAD LONE BADRAH PAYEEN KRALGUND LANGATE HANDWARA 010185 OM 363 600 60.50 1063 1800 59.06 602 1000 60.20 842 1600 52.63 0 0 0.00 0 0 0.00 No No 15.13 5.91 9.03 5.26 0.00 0.00 0.00 0.00 35.32 13.67 48.99 Kashmir Univ. 60 191 853820 ASMA QURASHI RIYAZ AHMAD QURASHI PUNJWAH VILLAGAM HANDWARA KUPWARA 050486 OM 354 600 59.00 1086 1800 60.33 728 1000 72.80 1053 2000 52.65 0 0 0.00 0 0 0.00 No No 14.75 6.03 10.92 5.27 0.00 0.00 0.00 0.00 36.97 12.00 48.97 Kashmir Univ. 63 767 873157 MOHD IQBAL LONE BASHIR AHMAD LONE HERAPORA RADBUGH RADBUGH KUPWARA J&K PO NUTSUSSA HANDWARA 050482 OM 336 600 56.00 839 1800 46.61 665 1000 66.50 1041 1600 65.06 0 0 0.00 0 0 0.00 No No 14.00 4.66 9.98 6.51 0.00 0.00 0.00 0.00 35.14 13.67 48.81 Kashmir Univ. 64 302 596871 FAROOQ AHMAD BHAT BASHIR AHMAD BHAT POHRUPETH HANDWARA KUPWARA 071185 OM 366 600 61.00 998 1800 55.44 759 1000 75.90 888 1600 55.50 0 0 0.00 0 0 0.00 No No 15.25 5.54 11.39 5.55 0.00 0.00 0.00 0.00 37.73 11.00 48.73 Kashmir Univ. 65 892 871784 MUZAMIL MOHI UDDIN GH MOHI UDDIN DAR POHRUPETH LANGATE HANDWARA KUPWARA 010185 OM 287 600 47.83 1076 1800 59.78 689 1000 68.90 1412 2200 64.18 0 0 0.00 0 0 0.00 No No 11.96 5.98 10.34 6.42 0.00 0.00 0.00 0.00 34.69 14.00 48.69 Kashmir Univ. 67 1497 984595 TANVEER AHMAD BHAT GH AHMAD BHAT HANGAH HANDWARA KUPWARA 090385 OM 0298 0600 49.67 0999 1800 55.50 0683 1000 68.30 1113 1600 69.56 0 0 0.00 0 0 0.00 No No 12.42 5.55 10.25 6.96 0.00 0.00 0.00 0.00 35.17 13.33 48.50 Kashmir Univ. 68 113 984334 AJAZ AHMAD WANI MODH AKBAR WANI WATINGROO HANDWARA KUPWARA 141274 RBA 342 600 57.00 852 1800 47.33 691 1000 69.10 926 1600 57.88 0 0 0.00 0 0 0.00 No No 14.25 4.73 10.37 5.79 0.00 0.00 0.00 0.00 35.14 13.33 48.47 Kashmir Univ. 69 939 979565 NASIR AHMAD SHEIKH AB JABAR SHEIKH WAHIPORA HANDWARA KUPWARA 101185 RBA 351 600 58.50 903 1800 50.17 702 1000 70.20 1125 2000 56.25 0 0 0.00 0 0 0.00 No No 14.63 5.02 10.53 5.63 0.00 0.00 0.00 0.00 35.80 12.67 48.46 Kashmir Univ. 70 1325 799704 SHAHIDA AKHTER MOHD SHAFI BHAT BATERGAM BATERGAM KUPWARA KUPWARA 040381 OM 253 600 42.17 860 1800 47.78 705 1000 70.50 1028 2000 51.40 270 500 54.00 0 0 0.00 No No 10.54 4.78 10.58 5.14 5.40 0.00 0.00 0.00 36.43 12.00 48.43 Kashmir Univ. 72 1461 854352 SYED MOHD ZAMIRUL HAQ ANDRABI SYED AB HAMID ANDRABI KANTHAPORA LOLAB C/O BPO CHEERKOOT LOLAB TEHSIL AND DISTRICT KUPWARA 020283 OM 373 600 62.17 987 1800 54.83 709 1000 70.90 0 0 0.00 286 500 57.20 0 0 0.00 No No 15.54 5.48 10.64 0.00 5.72 0.00 0.00 0.00 37.38 11.00 48.38 Kashmir Univ. 73 26 596471 AB HAMID GOJRY MOHD RAJAB GOJRY HARIPORA HANDWARA KUPWARA 031085 OM 415 600 69.17 956 1800 53.11 677 1000 67.70 1314 2000 65.70 0 0 0.00 0 0 0.00 No No 17.29 5.31 10.16 6.57 0.00 0.00 0.00 0.00 39.33 9.00 48.33 Kashmir Univ. 74 383 763943 GH MOHD MIR MOHD HAMZA MIR SHAIHAL HANDWARA KUPWARA 100282 OM 371 600 61.83 1006 1800 55.89 634 1000 63.40 1151 2000 57.55 0 0 0.00 0 0 0.00 No No 15.46 5.59 9.51 5.76 0.00 0.00 0.00 0.00 36.31 12.00 48.31 Kashmir Univ. 77 925 766413 NASEER AHMAD BHAT MOHD SHABAN BHAT HARIPORA HUNDWARA 010183 OM 280 600 46.67 913 1800 50.72 700 1000 70.00 1082 1800 60.11 0 0 0.00 0 0 0.00 No No 11.67 5.07 10.50 6.01 0.00 0.00 0.00 0.00 33.25 15.00 48.25 Kashmir Univ. 78 183 891204 ASHIYA RAASHID WANI RASHID AHSRAF WANI WANI MUHALA SOGAM LOLAB KUPWARA 160279 OM 341 600 56.83 1089 1800 60.50 649 1000 64.90 472 800 59.00 0 0 0.00 0 0 0.00 No No 14.21 6.05 9.74 5.90 0.00 0.00 0.00 0.00 35.89 12.33 48.23 Kashmir Univ. 79 1169 891349 RUKHSANA MARAYAM MOHD SHAFI SHAH SOGAM LOLAB KUPWARA KASHMIR 010486 OM 334 600 55.67 992 1800 55.11 712 1000 71.20 0 0 0.00 287 500 57.40 0 0 0.00 No No 13.92 5.51 10.68 0.00 5.74 0.00 0.00 0.00 35.85 12.33 48.18 Kashmir Univ. 80 1136 361567 RIYAZ AHMAD BHAT AB AHAD BHAT DARDSON KRALPORA KUPWARA 050581 OM 314 600 52.33 806 1800 44.78 692 1000 69.20 522 800 65.25 0 0 0.00 0 0 0.00 No No 13.08 4.48 10.38 6.53 0.00 0.00 0.00 0.00 34.47 13.67 48.13 Kashmir Univ. 81 1456 799663 SYED ISHFAQ AHMAD SHAH SYED MOHD ASHRAF SHAH SHAH MOHALLAH SOGAM LOLAB KUPWARA KASHMIR 040385 OM 278 600 46.33 1003 1800 55.72 625 1000 62.50 1056 1600 66.00 0 0 0.00 0 0 0.00 No No 11.58 5.57 9.38 6.60 0.00 0.00 0.00 0.00 33.13 15.00 48.13 Kashmir Univ. 82 1515 891055 TARIQ AHMAD WANI AB KHALIQ WANI CHERAWARI GULGAM KUPWARA 110282 OM 353 600 58.83 905 1800 50.28 717 1000 71.70 0 0 0.00 296 500 59.20 0 0 0.00 No No 14.71 5.03 10.76 0.00 5.92 0.00 0.00 0.00 36.41 11.67 48.08 Kashmir Univ. 83 681 758209 MARYAM HASSAN GHULAM HASSAN MIR JAGGARPORA TEHSIL HANDWARA DIST KUPWARA 041084 OM 366 600 61.00 1125 1800 62.50 0 0 0.00 2332 3550 65.69 0 0 0.00 0 0 0.00 No No 15.25 6.25 0.00 6.57 0.00 0.00 0.00 0.00 28.07 20.00 48.07 Kashmir Univ. 84 470 766534 IQBAL HASSAN MIR GH HASSAN MIR PANDITHPORA LANGATE HANDWARA KUPWARA 050381 OM 278 600 46.33 877 1800 48.72 732 1000 73.20 715 1600 44.69 255 500 51.00 0 0 0.00 No No 11.58 4.87 10.98 4.47 5.10 0.00 0.00 0.00 37.00 11.00 48.00 Kashmir Univ. 85 1118 886136 REYAZ AHMAD KHAN MOHD AFZAL KHAN KHAN MOHALLA DARDPORA KRALPORA KUPWARA 030384 RBA 303 600 50.50 962 1800 53.44 727 1000 72.70 598 1000 59.80 0 0 0.00 0 0 0.00 No No 12.63 5.34 10.91 5.98 0.00 0.00 0.00 0.00 34.85 13.00 47.85 HNB Garhwal PG Selection is subject to production of Bonafied certificate of PG from HNB Garhwal University on proforma prescribed by the Board. 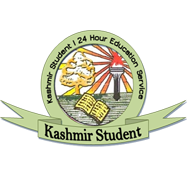 86 1493 596523 TAJAMUL KHURSHEED KHURSHEED AHMAD SHEIKH KAWARI HANDWARA KUPWARA 010584 OM 269 600 44.83 884 1800 49.11 692 1000 69.20 1069 2000 53.45 0 0 0.00 0 0 0.00 No No 11.21 4.91 10.38 5.35 0.00 0.00 0.00 0.00 31.84 16.00 47.84 Kashmir Univ. 89 578 597164 JAVID AHMAD WAR ALI MOHMAD WAR SOPERNAGHAMA HANDWARA KUPWARA 020584 OM 382 600 63.67 872 1800 48.44 751 1000 75.10 807 1600 50.44 0 0 0.00 0 0 0.00 No No 15.92 4.84 11.27 5.04 0.00 0.00 0.00 0.00 37.07 10.67 47.74 Kashmir Univ. 93 1518 361569 TARIQ RAFIQ WANI RAFIQ AHMAD WANI LADERWAN BLOCK TREHGAM THESIL KUPWARA 011276 OM 338 600 56.33 889 1800 49.39 660 1000 66.00 475 1000 47.50 0 0 0.00 0 0 0.00 No No 14.08 4.94 9.90 4.75 0.00 0.00 0.00 0.00 33.67 14.00 47.67 HNB Garhwal PG Selection is subject to production of Bonafied certificate of PG from HNB Garhwal University on proforma prescribed by the Board. 94 1603 852384 ZAKIR AHMAD MIR MOHD SULTAN MIR LASSIPORA SOGAM LOLAB KUPWARA 150386 OM 299 600 49.83 854 1800 47.44 696 1000 69.60 1121 2000 56.05 0 0 0.00 0 0 0.00 No No 12.46 4.74 10.44 5.61 0.00 0.00 0.00 0.00 33.25 14.33 47.58 Kashmir Univ.